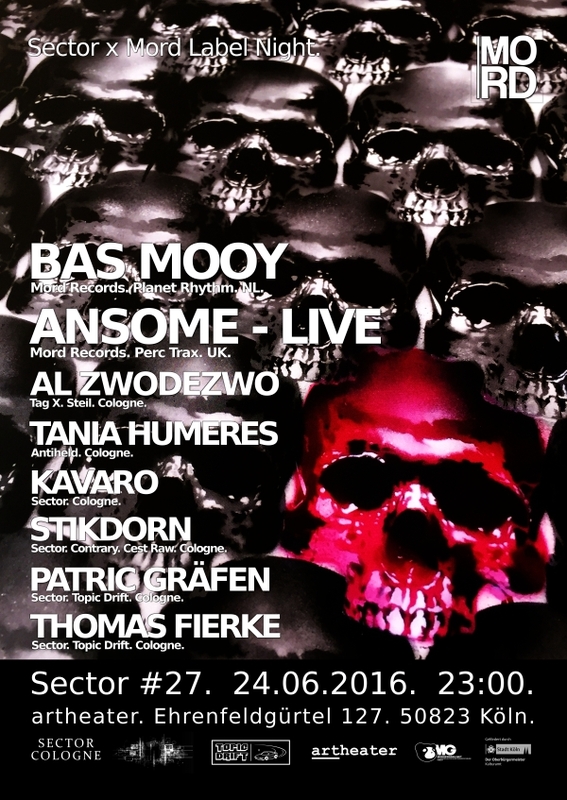 Sector x MORD Records Label Night 24.06.2016 ARTheater – Season Closing. For closing the season we invited MORD Records again. After his outstanding dj set last year label owner BAS MOOY from Rotterdam will do it again. We are glad we could invite ANSOME from the UK for playing a live set at Sector! His recent releases at MORD Records and Perc Trax are awesome and we can’t wait to enjoy his music live! Also we get local support from Tag X resident Al Zwodezwo and Tania Humeres from Antiheld Music. Finally our Sector residents Stikdorn, Thomas Fierke, Patric Gräfen and Kavaro will play driving back 2 back dj sets for you! All in all perfect conditions for a perfect season closing night, you should not miss! New Sector Cologne Resident Stikdorn. We also welcome Stikdorn from Cologne in our Sector family. He is also part of Cestraw and Contrary Records. Enjoy his latest podcast for :REPRISE:. New Sector Cologne Resident Miran Nolden. Miran Nolden from Cologne is a part of our Sector family now. Welcome! Here is his latest podcast for Circles & Spheres, enjoy. Sector Cologne meets Killekill Berlin 20.05.2016 Artheater CGN. 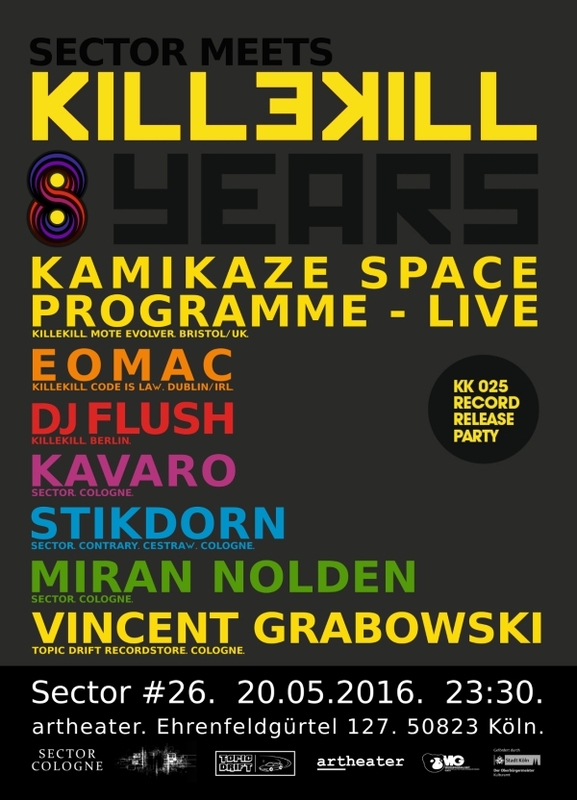 At May 20th we celebrate 8 Years Killekill Berlin and the record release of the triple Vinyl Killekill 025 – Various Artists – KILLEKILL MEGAHITS II with Kamikaze Space Programme – Live, Eomac and DJ Flush, supported by our residents Kavaro, Stikdorn, Miran Nolden and Vincent Grabowski from the Topic Drift Recordstore.